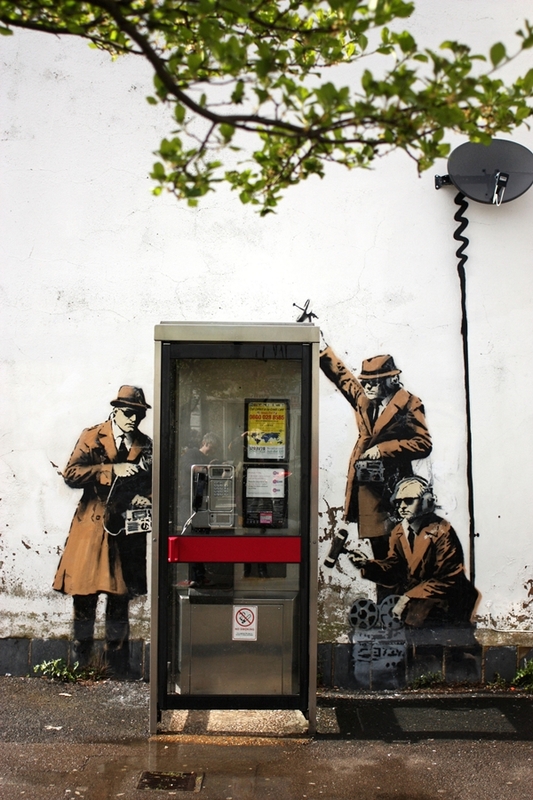 Banksy's Spy Booth, a work which portrays government spies listening in to conversations in an adjacent phone booth, is at the centre of a battle over ownership. The landlord of the building it is painted on wants to sell the work, however, the British government may well be the rightful owners of the Banksy. Phil Jones, a retired surveyor has been campaigning against the sale of the work, claiming the Department for Transport is the actual owner. His argument is that the wall was once the internal wall of a house that was seized by the government in the 1960s. Jones told the BBC: "It was a house previously acquired circa 1960, which was knocked down for road improvements." "The government should acknowledge that they own it and that it's in the public realm for the benefit of the people of Cheltenham." 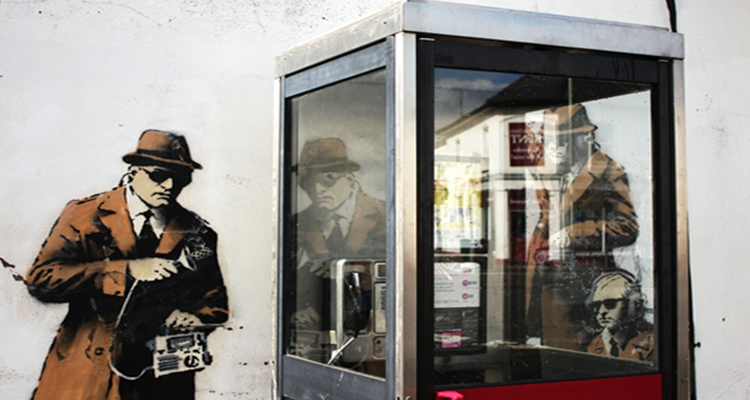 Spy Booth has been painted in a location in Cheltenham, just three miles from GCHQ, the British intelligence headquarters. Spy Booth was not acknowledged by its creator until nearly two months after it was completed in April. After Banksy's authentication, the building's owner had the piece estimated for sale at auction, where it could potentially fetch as much as £1 million. Residents put a halt to the sale when they noticed scaffolding surrounding the artwork. The local council put a stop to the removal of the mural as the building is listed as a Grade II listed house, protected under British heritage legislation. Roger Wilson, the home's owner, is expected to fight the building's protected status. According to the BBC, he will seek legal advice regarding the ownership of the wall.